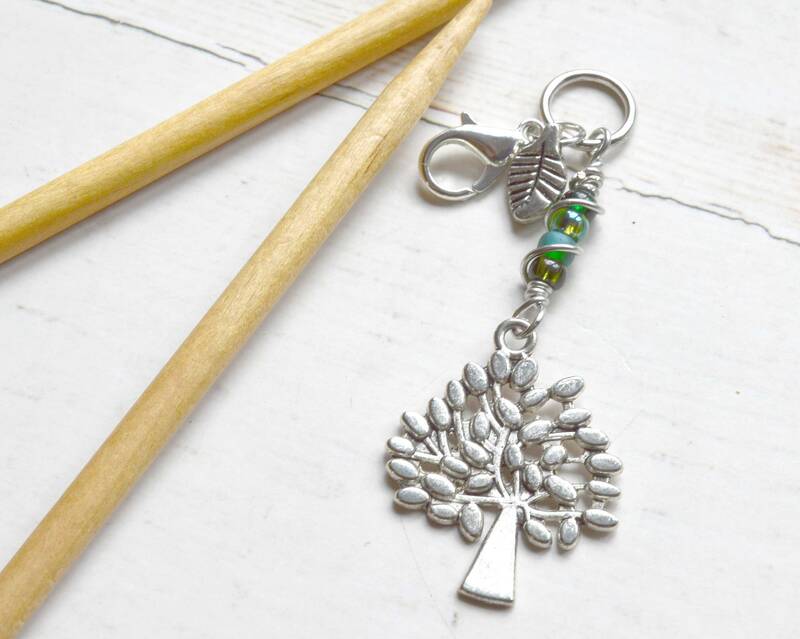 This wonderful stitch marker might seem simple but let me tell you it has many useful purposes! 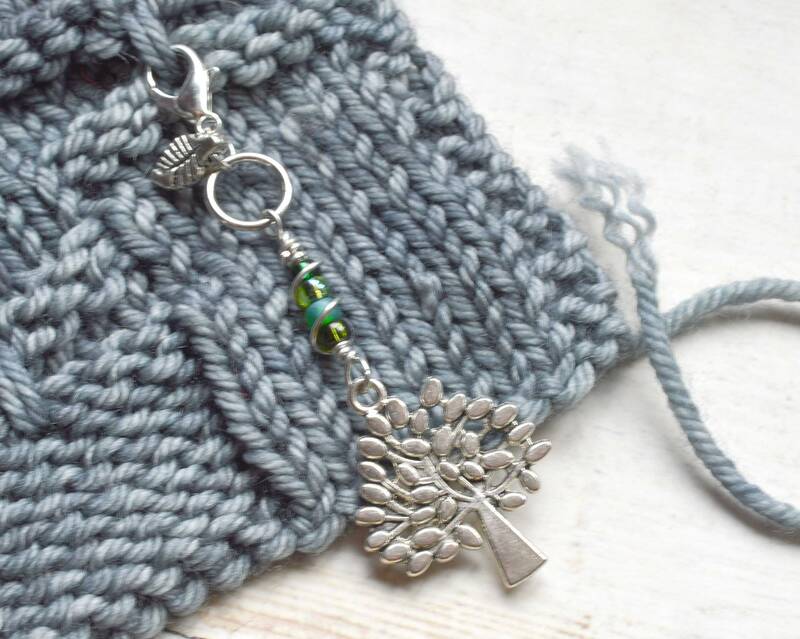 The locking clasp is perfect for keeping track of your knitting progress, securing dropped stitches or marking the right side of your work. But, what makes this marker unique is the additional ring. It makes it so much more versatile! 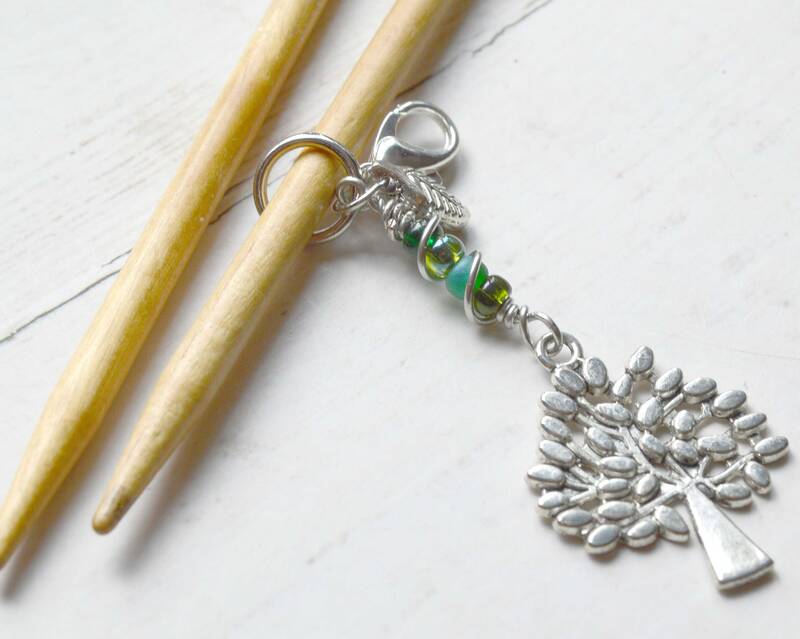 The ring fits neatly on knitting needles up to size 10.5 and is perfect for marking the beginning of your work when knitting in the round or for marking pattern repeats, stitch increases or decreases or changes in stitch pattern. 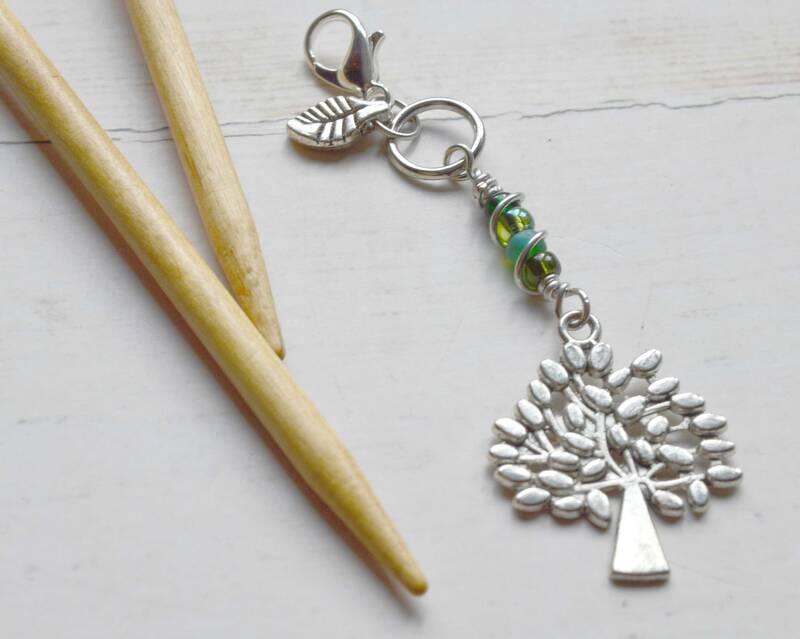 Not to mention it's beautiful accessory to your works in progress.